Ever wonder what to do with vintage crochet doilies and table runners? I love them but don’t use them in my décor and wanted to come up with something to showcase their beauty. Vintage wood frames and vintage doilies make a lovely combination. Tip: you don't need to use a square doily for a square frame, most of the doilies I used were round. I also think they look better when the center of the doily is off center in the frame, it also makes it easier to attach to the frame. Staple and stretch the lace over the backside of the frame, make sure you stretch it rather taught, the tighter it is the better it will look. I also used an old wood window frame, if you don’t have enough room on the middle cross bars to staple, you can also use a fast setting epoxy to adhere the lace to the frame. When you’re done stapling or gluing, trim the excess doily with scissors. It was a fast, easy project, I hope you try it. I remember decorating my first house (1977) in old frames with doilies. gee I'm a head of my time (or just old fashioned) I'll have to dig them out again! Love it - what a great idea - I have quite a few doilies - I am going to try this - thanks!! This is a great idea since people around where I live almost "worship" their doilies. LOL! But I don't like to use them on the backs of furniture or under vases as they do around here. So this is a great alternative. But I doubt I would cut off any excess. I'd probably just figure out a way to "hide" it behind the frame...heaven knows you don't cut up grandma's "good doilies"! Haha! Very cute idea. I do use a lot of doilies but I like them in the window frame. I have a bag full of my grandmother's doilies. I might have to try this with a few. Aren't they just resplendent! The patterns are outstanding and you have come up with such a great way of displaying them. 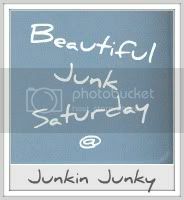 thanks for sharing at Beautiful Junk Saturday. Love it so much is beYOUtiful and YOUnique! What a great idea, they look so cute. I love this look. Just like it on FB too. This is such a stunning idea!! 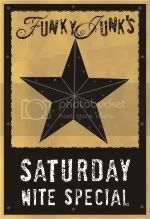 So rustic with a soft pretty touch! What a great idea! I was hunting around for some things to do with old doilies and I love this. I would like to share it on the Examiner's Arts & Crafts page. I particularly like to share repurposed ideas. I'll link to this post and credit the photo as well. Please let me know what you think. Cheers! This is a very great idea indeed. The combination of doilies and frame created an amazing decoration. If you have time and wood working skills, you could have used router bits to give too much details to the frame. SO very beautiful! I wish i was a little more talented when it came to knitting and crocheting (I can do only the basics) because this would make such a lovely gift this coming holiday season! SO very beautiful! I wish i was a little more talented when it came to knitting and crocheting.